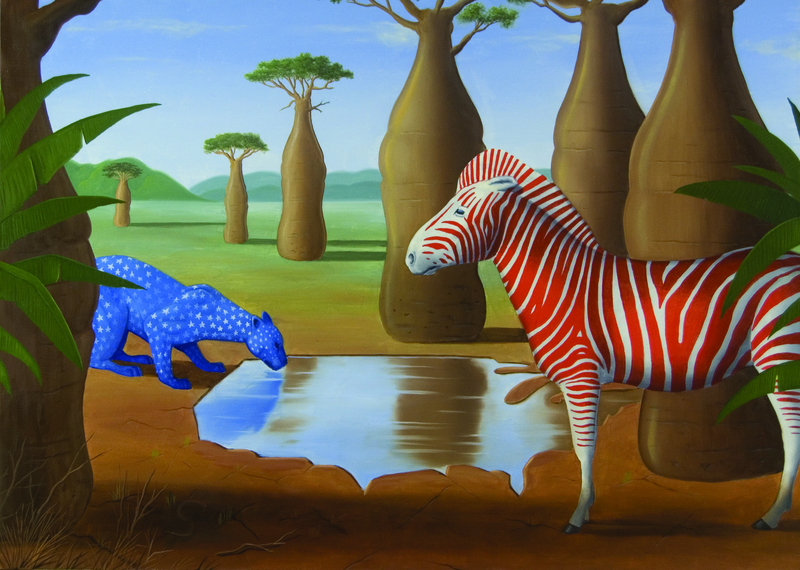 Environmentalism at World Wide Art Los Angeles through Claus Larsen. WWALA Exhibitor Claus Larsen exhibiting with Just Art Gallery speaks on the Environment. An important and changing moment occurred in the consciousness of the world regarding environmental risks when the first energy crisis evolved in the 70′s, when for the first time world-wide, people realized that the resources of the planet were limited. Similar to a limiting reagent in a chemical reaction, pollution and environmental health just became the limiting reagent to human life on earth. A vast opinionated movement came about, initially in California, labeling the movement ecology. It was the idea of a new relationship of harmony between man and nature, which sent into substantial crisis the idea of progress without limits. It was in this phase that the critical debate began, to progressively move from the circumscribed problem to the correlations with the system of galleries and museums, to the somewhat more complex theme of the relationship between art and nature. Climatic change is already so evident, that the contamination of the ground, of the air, the deforestation and depletion of the plant and animal diversity as well as the pollution of the deep layers of the seas and oceans are the neon signs that the crisis is well underway. The global ecological crisis is known as the manifestation of a vaster crisis, that of a cognitive and social nature or, an ecology of the mind, that occurred well before that of the environment. My works suggest many levels of interpretation where nature and the collective memory comprise fundamental points of reference. The vivid and brilliant colors of my works help create a painting of the highest definition (long before High Def Television), made of optical illusions and traps for the eye. My approach to painting is typical of the humanist except one with a scientific background breaking away from the optical chemistry while integrating the knowledge of art history yet utterly contemporary. A careful reading of the paintings takes the spectator through the muddle of aesthetic transfiguration and the tight weave of optical illusions, towards a larger more encompassing environmental knowledge and awareness. VIP opening Thursday October 16th 5-10pm. Email us for tickets. Show opens to the general public on Friday October 17th – 19th 10-7pm.